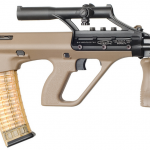 Steyr has announced they will once again be selling the AUG A3 semi-auto to civilians. I’ve seen two MSRP’s posted, both $1,995 and $2,099. What I really want to know is what are the major differences between this new offering and the A3 previously manufactured by Sabre Defence. I am looking forward to user reviews in the upcoming month after they go on sale. 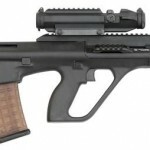 Since the “Return of the Steyr AUG” already happened I guess this is the re-return or the AUG. With MSAR about to make a comeback as well, this is getting interesting. 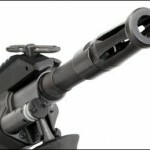 Note the difference between muzzle devices on the prior Sabre A3 vs the new model images. 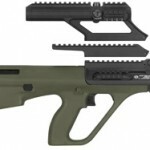 This morning I received some awkward emails that I didn't ..
Like the uncommon A2 predecessor the new semi-auto A3 M1 ..
Steyr has been conservative with growth and new designs. Unlike .. 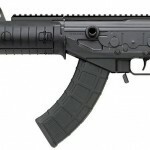 The prior MSAR models appeared to offer more but the true AUG was much smoother with a noticeably better finished product. 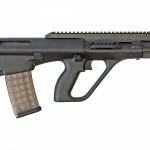 I didn’t think much of it until I began using the AUG more. Even charging the weapon feels slightly better. Keep in mind, this says nothing of superior performance, reliability, longevity, or accuracy. It’s just my opinion about the difference in feel between the two. 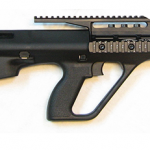 Some details are posted here: BullPup Forum.